On Friday 20th January 2017, Rowan class were chosen to represent KS2 who have been learning new programming skills thanks to the support of The Technology Partnership plc (TTP) and David Anderson. Rowan class were filmed designing and making Lego "frogs" move. The film is available to view below. Our pupils were very excited and were able to demonstrate their love for learning and their acquisition of these technological skills. 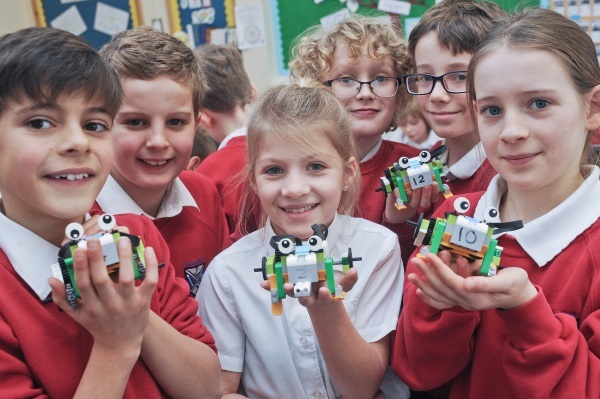 The Technology Partnership plc (TTP) has announced it is supporting an initiative in Cambridgeshire to help teachers with the new skills they need to teach coding to the next generation of learners. The idea is being led by David Anderson, a robotics/software expert and former employee at TTP, who has strong ties to the education sector. The programme was launched in response to the need for new skills amongst primary school teachers who are now expected to teach coding as a core part of the National Curriculum. 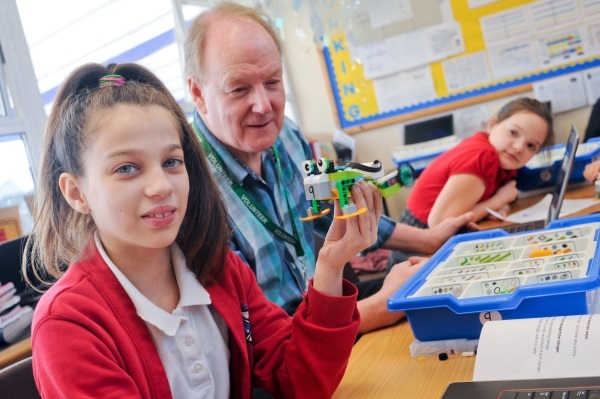 As a world leader in technology and product development, TTP works to ensure that the fundamental skills within its sector flourish in the UK market and believes this has to start with education – of teachers as well as students. 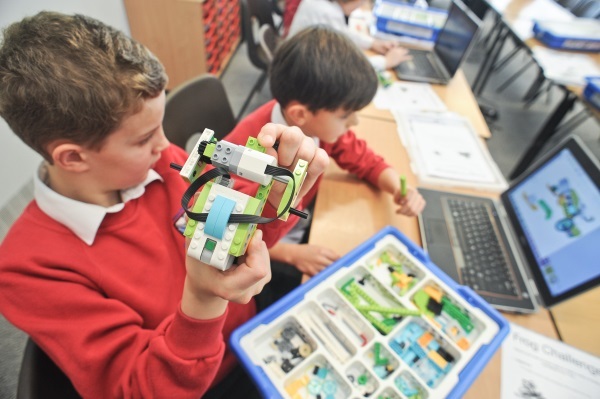 In 2014, a revolution in the National Curriculum for schools replaced ICT with Computing, with a focus on equipping pupils with the skills to thrive in a digital world. As laid out in the guidance from the Department for Education, this has a particular focus on teaching "the principles of information and computation, how digital systems work, and how to put this knowledge to use through programming." Whilst changing the curriculum will help bring talent into the industry in the future, it has resulted in primary school teachers having to learn to teach the new topic. A plethora of online resources and communities have sprung up to assist teachers in learning how to teach programming skills. However, such programmes are voluntary and require considerable investment of already stretched teachers’ time to achieve success. 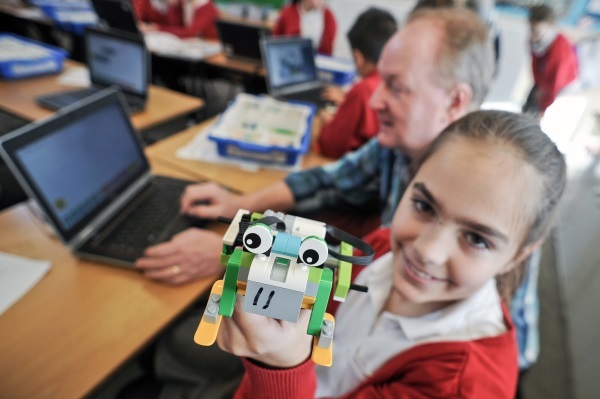 David Anderson, Robotics Programme Leader, says: "In 2014, the Government recognised that the old ICT curriculum was not producing employees with the skills required for the growing technology sector. Thus, a change was made to the subject to ensure that basic programming skills were being taught. Although the change was welcomed by the technology sector, it was apparent that there was a knowledge gap amongst teachers. That’s when I knew there was an opportunity for both myself and TTP to give back to the community and to share our expertise." Peter Taylor, TTP Group CEO also commented, "Recruiting candidates of the right calibre is still a challenge within the technology sector, and whilst changing the curriculum has been a step in the right direction, it hasn’t taken into account the need for teachers to upskill in order to teach it effectively. By supporting this initiative, not only are we helping increase our future talent pool, we are also directly giving back to the local community and sharing our expertise where it is sorely needed. We hope that more schools adopt this approach in order to deliver the best learning environment for our future tech stars." Petersfield Church of England (Aided) Primary School was chosen for the project due to its commitment to driving forward teaching best practices in technology. The school’s vision is to foster a lifelong desire to learn in its pupils, which marries well with TTP’s own culture of innovation and achievement. TTP has worked with David Anderson and the school to identify and develop the best training programme to benefit teachers and students. 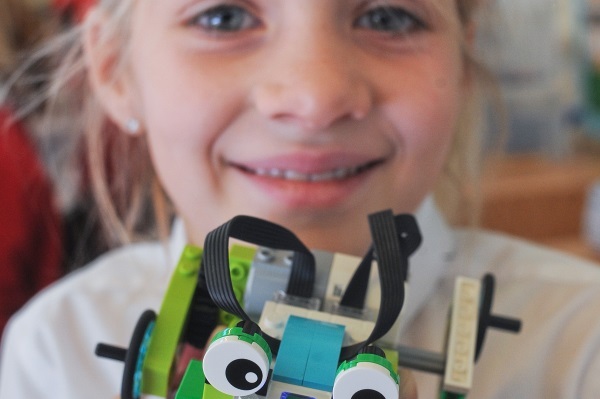 TTP has covered the purchase of LEGO® WeDo kits, to assist in the teaching of basic programming skills. 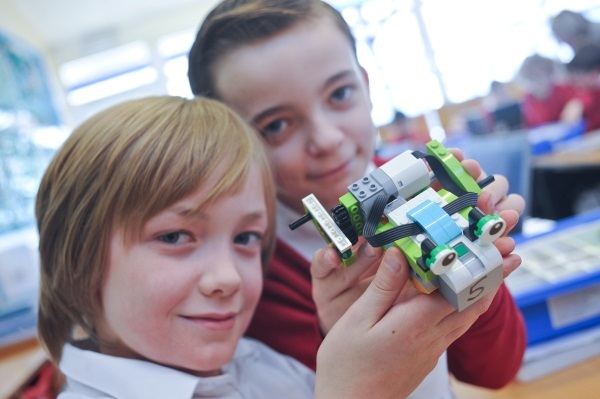 Designed with schools in mind, the LEGO® WeDo kit contains a selection of LEGO® bricks, sensors and components which pupils can use to create programmable models. 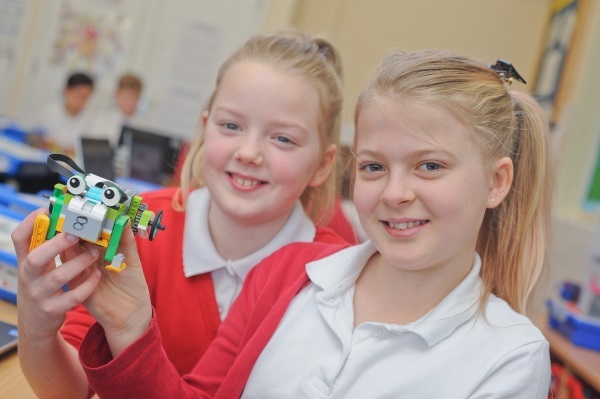 Whilst the kits come with a number of predefined projects that can be created, Anderson has been working with the school’s teachers to encourage the children to branch out and discover what new configurations they can build. 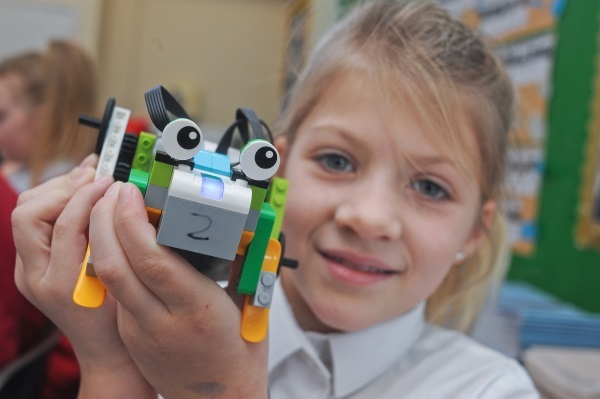 David Anderson said: "LEGO® is the perfect medium to use in programmes such as this as the children are already familiar with playing and creating using the bricks. It allows them to be more imaginative and experiment with the options open to them. I don’t feel that I am teaching them in a traditional sense, I’m helping them to experiment and work out the problems and solutions for themselves." The Technology Partnership plc (TTP) is Europe’s leading independent technology and product development company. Part of TTP Group, it combines the strengths of science, engineering and business enterprise to develop new technologies, new products, and new businesses. TTP Group is headquartered on Melbourn Science Park (near Cambridge, UK) and currently employs over 300 people in its businesses, of whom the majority are scientists and engineers. Are you looking for a way to start that all-important conversation about social media, gaming and other online activities with your son or daughter? Check out the latest issue of Digital Parenting magazine.